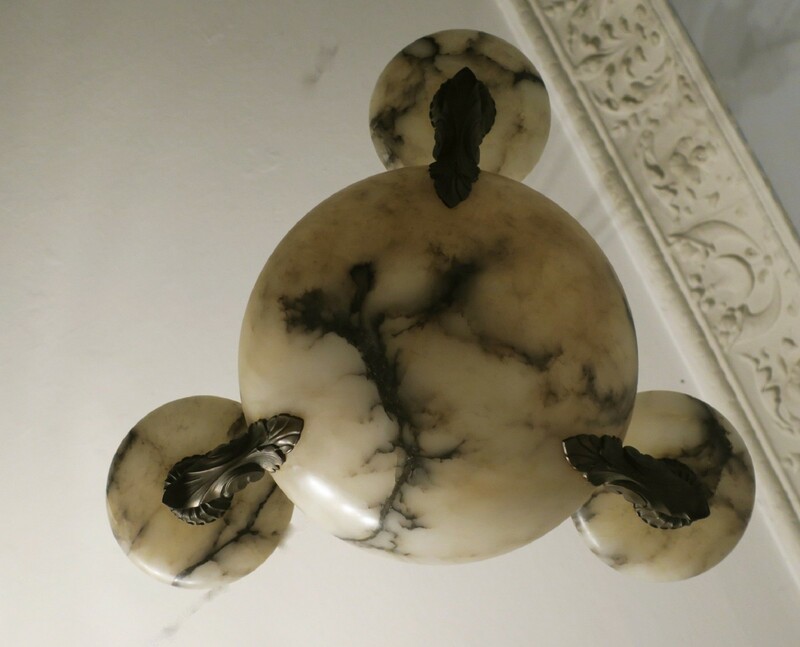 Antique alabaster and bronze four-light chandelier dating from about 1910-1920 with original rope supports and bronze ceiling cap. Very good antique condition with minimal signs of age and use. Delivery to EU countries 35€. Worldwide shipping available, please inquire.